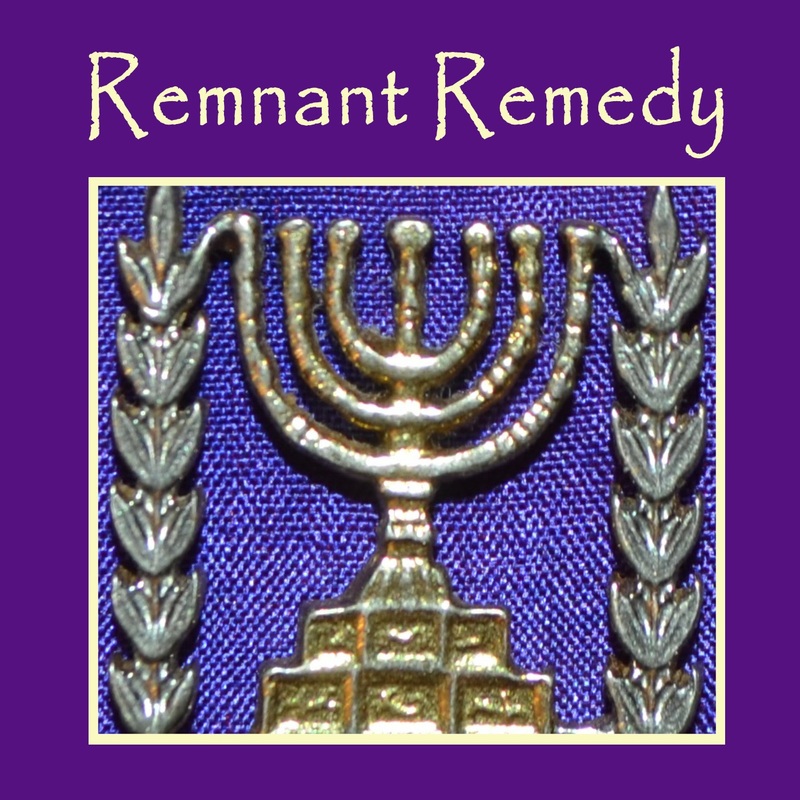 This is Nitza Moshe, owner of Remnant Remedy and host of Remnant Radio where we are “Living and Learning a ResTORAHtion Lifestyle!” Remnant Radio is broadcasted on the infamous Messianic LAMB Radio every Thursday @ 7pm Central Time. It has been my privilege and honor to have been a producer on MLB since 2011 – just a few months after it first began broadcasting. 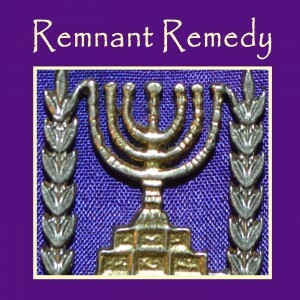 After a seven year sabbatical from ministry, 2011 was the year I came back full-time into ministry with Remnant Remedy while, at the same time, I was finishing up nearly seven years as a survival realtor for properties located in NW Montana and North Idaho. Prior to 2004, my husband and I ran a private school for home educators which included hosting county, state and national events and providing curriculum counseling. In conjunction with this ministry, we took in children from broken homes and babies born to incarcerated women in hopes of sharing the Light of Elohim and helping families to be restored. Much of the ministry I do which the public sees has all been because of the love, support and help of my husband and better half who works behind the scenes making sure I have the resources and time to serve Believers of the Kingdom of Messiah. I could do nothing without him. He is my Rock of Gibraltar and precious gift from Elohim for the more than 22 years. It’s because of our gratitude and love to our Elohim and the great work of healing and resTORAHtion which He’s done in our lives that we delight in serving others. You may wonder how this all lead to SHeMeN and SHaySH (essential oils and linen)? The Word says that “all things work together for the good for those who love Elohim and who are called according to His purpose.” It also says He will complete the good work He has begun in us. Well, I must say that Elohim has a great sense of humor to have raised me up out of the garbage pit to clean me up to be a vessel to shine for Him! Having been raised as an Air Force “brat,” I thought there were only three religions — Catholic, Protestant and Jewish. This was especially so since these were the only services offered on the military bases where I lived while growing up. However, I had Methodist and Baptist grandmothers which, of course, were the Protestant choices for attending church services when we visited them. I’d always had an affinity for Jewish school mates. I even often wondered secretly if I was Jewish. Then in my mid 30’s I began to dig into my roots and discovered that my great great grandparents were Jewish and had fled their farm in Germany to take a boat to America. I also discovered that even my adoptive Baptist grandmother was Jewish! I believe I accepted Messiah when I was seven years old while attending Vacation Bible School which was held at the public school during the summer (WOW—how much things have changed!). However, my parents were nominal believers. We did say prayers at supper and bed times which was actually by the influence of my adoptive secret Jewish Baptist grandmother! We only attended church on Christmas Eve and Easter. I said my prayers every night and tried to attend church but it was hard as a child to attend on my own. I read the King James Bible as much as I could on my own and wondered how old I would be when the Messiah returned. While in high school, the Christian Teens of The Way barely acknowledged me and never asked me to attend any of their meetings. I do recall a Mary Kuhns who was very often ill and in the hospital with a collapsed lung. She was very kind to me and encouraged me during girl’s modeling classes. I’ve often wondered how much different my life would’ve been if I’d been asked to join The Way for Bible reading and praying during lunch. It’s always been a reminder to me not to judge a book by its cover and all the more so a person. This is especially so for a girl or woman who may look or act wanton. There are many things that contribute to a child or person who seeks love and affection in all the wrong ways and places. 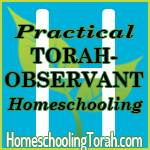 It’s our admonition as Believers to look beyond looks and behavior and to demonstrate love, honor and respect even to those who are not walking the walk – the way of Torah. Love and demonstration of Torah in our lives will always plant seeds and only eternity will reveal the great harvest of such. I know it may surprise people to know I was very shy and introverted while growing up. As a military child who moved every 1 – 2 years, I always had to learn to adapt. Moving from state to state and overseas twice, it wasn’t easy to fit into each new peer group at school. At each location, about the time I figured it out, we moved again and I had to start all over to learn new acceptable peer rules. I spent most of my time being made fun of because I was a bookworm. Learning was my passion which my family and peers did not understand. I was made fun of because of my proper speech and writing and was often told, “You’re so smart that you’re stupid.” To be more acceptable and less intimidating to others, I’ve learned to talk like a southern grit but that is not how I think and write. I’m thankful for those hard years, it caused me to seek Elohim and I’m very able to adapt to whatever He has for me. I could never have imagined being able to share my faith until I was visited by the Ruach HaKodesh at age 30 which changed my life and empowered me. From that point on, I haven’t been able to remain very quiet <smile>. After I left home, I did some acting and modeling stints in Los Angeles. Then I worked as a Corporate Telecommunications Manager during the day and became a disco queen at night. I was torn between light and darkness. It was as if I was under a curse and was unable to help myself. I was “Miss Goodie Two Shoes” by day but had a hidden life “looking for love in all the wrong places” at night. As a result, I was lonely and I went through a lot of pain and heartache. However, I was always searching for a tangible G-d and often found myself sitting in an empty church just praying and asking Him to manifest Himself to me. It wasn’t until I told Him I would give up everything even if it included what meant most to me, my marriage, that He manifested Himself to me. He filled me with His Ruach haQodesh (Holy Spirit). THEN, I had power to overcome my sins and tell the world what my G-d had done for me! Once I was delivered, however, Elohim took no time in refining me. I was immediately thrown into the fire and much dross was removed through much testing and persecution. It was through those years of intense trials that I learned to walk in the supernatural and hear His voice. It was during this time when He told me I was a Joseph. That began 27 years ago when He started giving me dreams and visions for what is now manifesting before my eyes today! 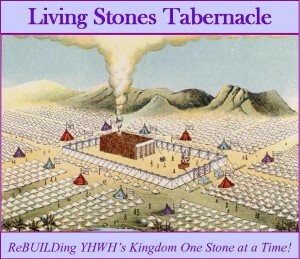 Many of the visions and dreams were about the Two Houses of Israel (Christians/Joes and Jews) coming together as one as the two witnesses proclaiming the return of the Moshiach! Most of my life (until Elohim opened my eyes), I suffered at the hand of the socialized military and civilian medical system. This caused me to fight for my life and my children’s lives. It made me search the Word for His Ways to health. It made me beg and wrestle with the Father to find a way to COME OUT of the Pharaoh’s system. I’ve spent over 40 years studying and learning how to heal Elohim’s Way and He has consistently been merciful to show me ways to heal using His plants. The power of DaBaR – the Living Word – Vibrations and Frequencies that were put in Order from the Beginning are at the core of resTORAHtion for our physical, emotional and spiritual bodies. Thus, herbs, juicing, and Biblical Aromatherapy along with linen and other modalities of natural healing are all a part of what needs to be restored to prepare the Bride for her greatest moment on the stage of HisStory! How exciting and privileged we are to be a part of the GREAT SHOWDOWN being prepared for the BRIDE before the return of Her BRIDEGROOM! It’s a privilege and honor to be his servant — His Beloved!